In the midst of 1965-1966 massacre in Indonesia, is there any adequate theological language that allows us to talk about grace before the survivors, who witnessed the horror of the event? Historically speaking, is there any adequate response from the church at that time concerning 1965-1966 massacre that can be useful for doing post-traumatic public theology? What opportunity does the church have in order to able to engage in public discource about the contestation on this historical event? 1965-1966 massacre as the theological locus. 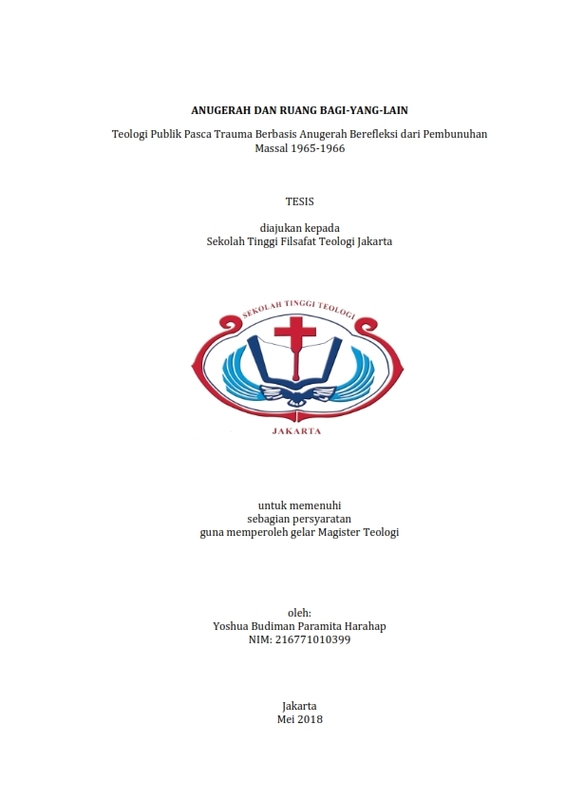 To do so, first I will try to investigate church documents, such as National Communion of Churhes in Indonesia between 1960-1970 as the primary source, documents from WCC and EACC as the global example, Regional Communion of Churches in Central Java as the regional example, and document from Christian Churches of Java as the local example. Then by referring to the dialectica of Cathy Caruth and Michael Rothberg, I will try to re-read this historical archive with multidirectional traumatic history perspective. In the last part, there will be a theological construction about post-traumatic theology from our reading of Dietrich Bonhoeffer theology about grace. This step will allow us to re-read grace as space-for-others as church-for-others. In this space, multinaration of history about 1965-1966 massacre will have their place. Keywords:1965-1966 massacre, Indonesia NCC 1960-1970, history of trauma, multidirectional memory, post-traumatic public theology, grace for-the-others, space for-the-others.